I’ve been a Lean Six Sigma trainer, coach and consultant for almost 30 years now. Recently, I reflected on why some companies and individuals are more effective at applying Lean Six Sigma than others. Well-known for solving problems in organisations around the world, the method is clearly sound, so what is it that is standing in the way of some organisations and Lean Six Sigma success? 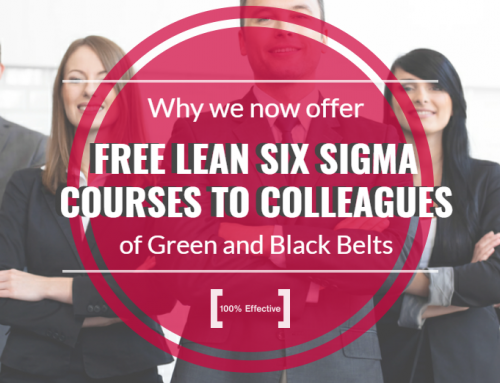 Lean Six Sigma is just a set of essential, common sense philosophies which everyone should know. Waste is bad; Variation is bad; look at your processes from the customer’s perspective, and so on. These principles are so fundamental to business, they should be taught at school. 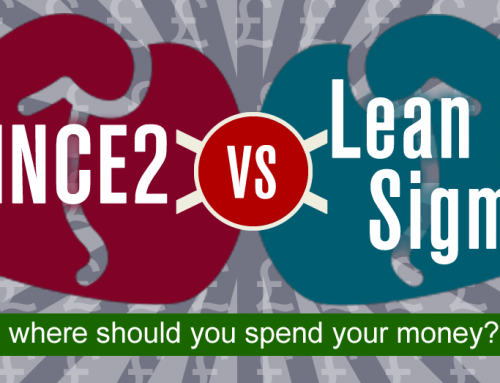 However, people like to over-complicate Lean Six Sigma and its tools and techniques. In doing so, it makes the method seem more elite and consequently makes certain people feel quite important. But in truth, most Lean Six Sigma projects don’t require advanced statistical analysis or complicated tools to be used. Instead, an understanding of some simple tools, techniques, and structures will get you a very long way. On a similar note, there is no need to waste time learning tools and techniques that you will never use*. What’s more, if you don’t put into practice the tools you have learnt straightway, you will likely begin to forget them*. While people may try to convince you otherwise, there is no one-size-fits-all approach to Lean Six Sigma and so if you find yourself filling in forms or applying tools that are of no real use, then stop. Yes, some tools, techniques and templates will make projects easier – Project Charters, Gate Reviews, Data Collection Plans – but they are not all mandatory and it is certainly possible to solve a problem without them. Also – and this one really will shock some people – Lean Six Sigma isn’t always the right method. Lean Six Sigma is incredibly effective at solving complex problems where the cause is unknown, but you don’t need to use the approach for every issue in the business! Sometimes other methods are more appropriate and effective. 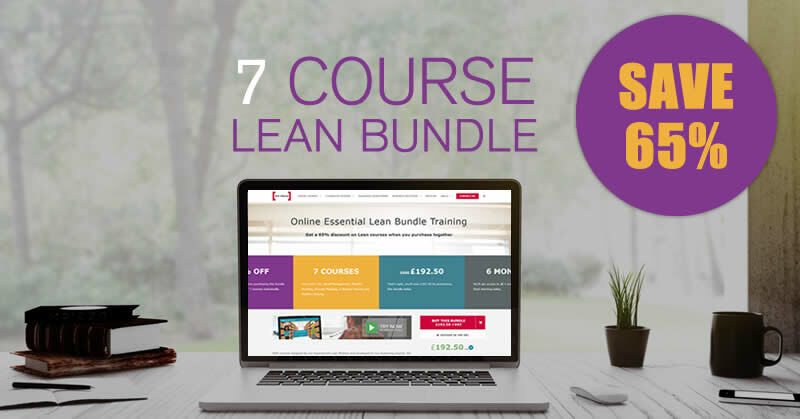 *Those wishing to certify through public Lean Six Sigma training will, of course, have to follow a certain curriculum and demonstrate their knowledge of the tools taught. However, a high quality training provider will provide a curriculum that covers tools that are of most use and will not spend excessive time on niche topics that will be of little benefit to the majority of Belts. *Unless you have access to Lean Six Sigma eLearning that will allow you to regularly refresh your memory of such tools. This may seem simplistic, but it’s important that your project is important. You would be surprised to find how many projects are selected on the basis that they seem the easiest to implement or the most impressive problem to solve. However, if your project is too ambitious to complete or is actually not strategically important, generating support and buy-in will be difficult and implementation will be almost impossible. 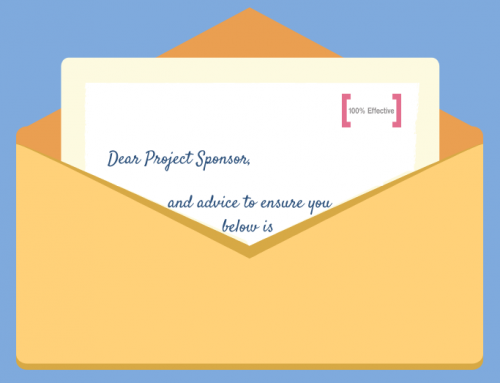 Once you have selected the project, it’s also important to make sure you define it thoroughly. Scope it well and ensure that it is possible within the timeframe and with the resources you have. Also, ensure the problem is measurable so you can demonstrate your success once complete; if you can’t prove you’ve made a difference then it may be considered a waste of time. It doesn’t need to be a massive deployment with a large infrastructure – in fact, you can run projects and solve problems on your own without any internal infrastructure – so dont be held back by waiting for a major program to be rolled out. The role of Senior Managers, Champions and Sponsors is vital to the success of Lean Six Sigma projects. While their input in terms of time and physical application is minimal, the support and influence they provide can be make or break. However, all too many people in this position are unaware or do not appreciate the importance of their role. As such, they often leave Lean Six Sigma teams to go it alone, without the support or influence they require. Also, their lack of Lean Six Sigma understanding often sees them setting unrealistic time-frames or expectations for the belts, which further detriments the likelihood of project success. Implementation and acceptance are just as important. While a lot of Lean Six Sigma training focuses on generating a solution, it is all for naught if you are unable to implement it successfully and generate acceptance. What use is the best solution in the world if no one will support it? As such, you MUST spend as long, if not more time, working on Change Management and generating acceptance than on forming a solution. This should be a focus from the very start of your project and all the way through the DMAIC process. This means Belts must be armed with Change Management and personal skills such as communication and influencing skills. The ultimate aim is to make Lean Six Sigma part of the company’s DNA and unite everyone in a culture of Continuous Improvement. But beware, because if the organisation you end up working for does truly understand and implement Lean Six Sigma, you will be found out. Instead, opt for effective Lean Six Sigma training that only grants certification once you have proven your understanding through real application and examination. Ensure your training fits your industry, culture and needs. Although the time, and often the money, you will invest will be greater, the results you will get will be worth it. As I stated before, all of these reflections come from almost 30 years of deploying Business Improvement or Continuous Improvement across the world. 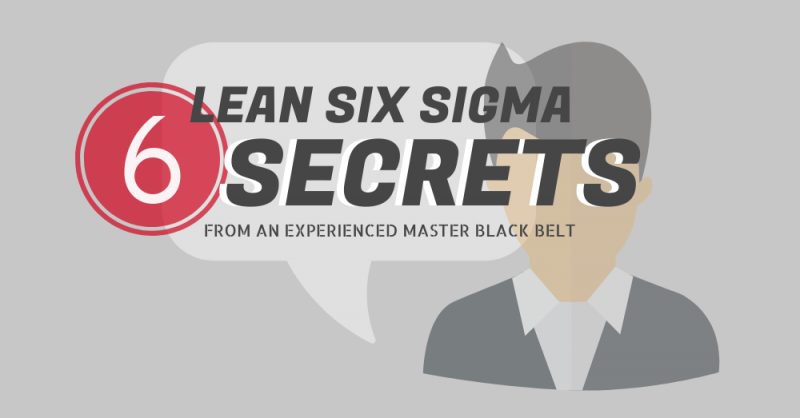 I have seen what does and does not work, and while many may disagree with elements in my list (and I welcome your comments below) I truly believe that if you want to make Lean Six Sigma work for you and your people, then you should keep these six secrets in mind. If you would like more help and advice on making your deployment work, then please get in touch. Reach out to me on Twitter or LinkedIn, or contact one of the 100% Effective team.